Official Submariner and Seadweller thread! It's the official Submariner and Seadweller thread! The Submariner is available in Stainless Steel,Stainless Steel and Yellow Gold, and solid Yellow Gold. 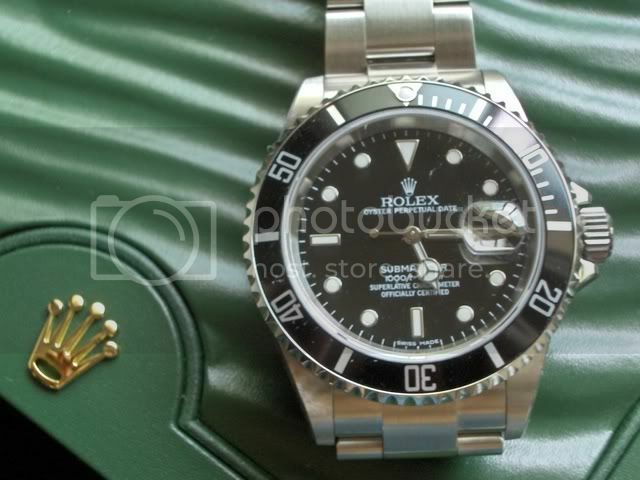 Comes in 2 versions, the Submariner with date and without date. Both have the exact same functions execpt that one has a date function. Both are waterproof up to 1000ft/300m and comes with a graduated, rotatable bezel for checking decompression time-spans. With a special oyster case with shoulders that protects the triplock winding crown. 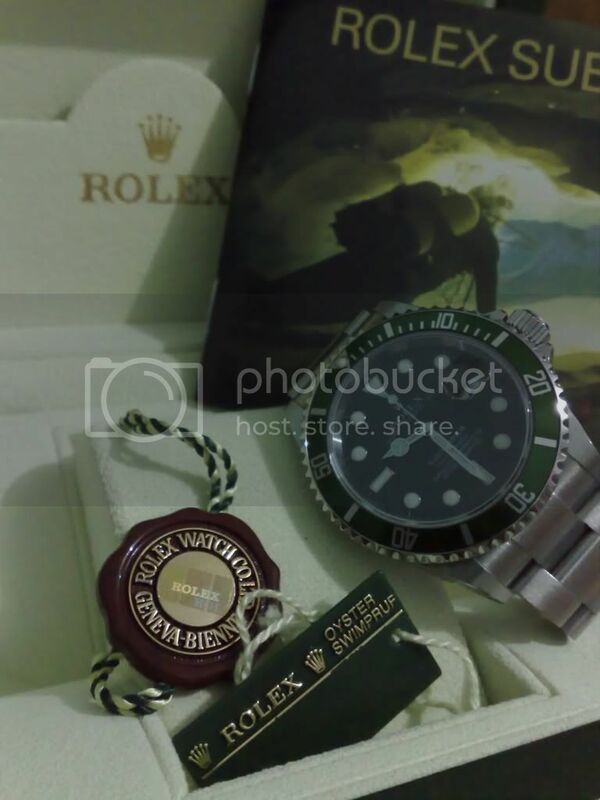 There is also a 50th Anniversary Submariner model that is available with the exact same functions as the Submariner date but in a green coloured bezel. The Seadweller waterproof up to 4000ft/1220m and comes with a graduated, rotatable bezel for checking decompression time-spans. With a special oyster case with gas escape valve for saturation diving and with shoulders that protects the triplock winding crown. Available only in Stainless Steel and with a oyster bracelet. Last edited by cedric; 29-05-09, 12:51 PM. Hahha...yeah...eh guys..dun tempt me ah..
Newie reporting with a sub. But I gonna sell this sub liao..
Last edited by Victor; 17-06-07, 01:57 AM. Can mod help me link this picture properly? hahaha.. tink we have the most sub owners... right now..
Hi I'm an owner of a brand new z series dweller. Just curious, why is it that the subs are more in demand than the dweller?